I am writing this review on the eve of what I hope is to be our last snow of the season before Spring rolls out in full force. I live in the northeastern US, Maryland to be specific. I fly drones almost every day and have been using the Sony line of cameras since I could lift one off of the ground with one of my rigs. Living in this part of the country, we are no stranger to snow and sunny days. After finally making a gimbal for my Sony AS15/AS100V cameras, I decided it was time to make my videos and photos look much better than they already did. While I haven't gone with the lens mod just yes, I would not use either of my camera without one of these filters installed on it. 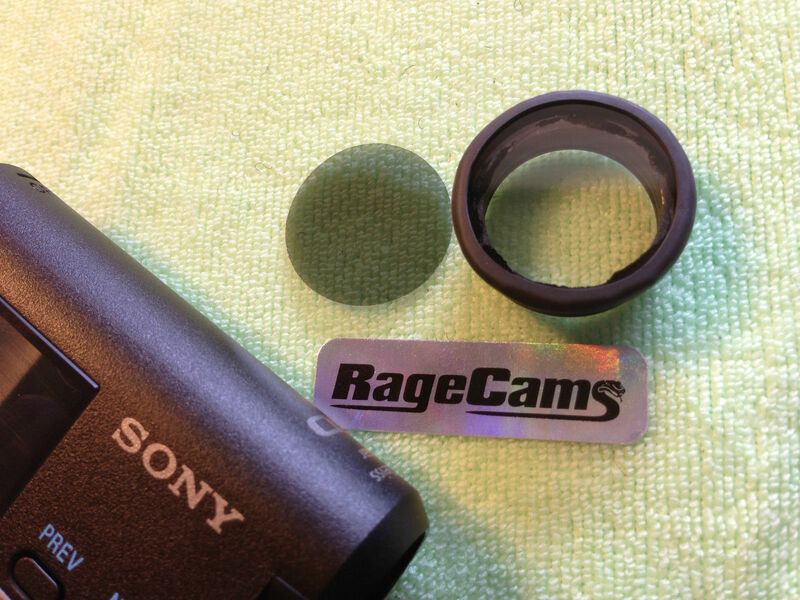 This fit and workmanship is what everyone has come to expect from RageCams.com, PERFECT. I simply needed to install the filter on the cam I wanted to fly with and it fit snugly in place. My video clarity is that much better because of this filter set! Have a look at this video. It was the first flight with the filter set installed and the improvements are noticeable. I didn't do a side by side because if you are reading this, then you can recognize footage that should have made use of one of these filters. Thanks Dennis for an amazing product that, while simple, changes everything! Next up, lens mod to remove the fish eye!